Many auto brands used digital media activations through the last couple of weeks, to highlight their presence at the 2014 India Auto Expo. Digital integrations and promotions sure helped them reach larger audiences and increase footfalls to their stall (hopefully). 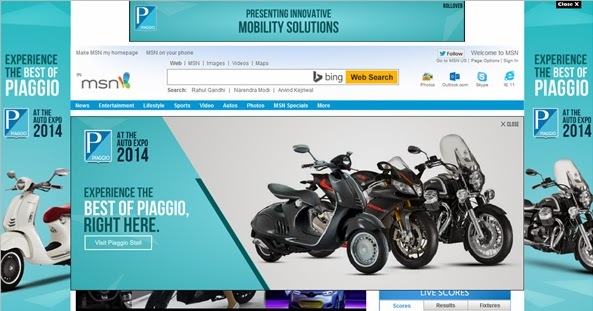 Piaggio created a one-pager on the Vespa India website to showcase their latest technology, cutting-edge mobility solutions and product range. 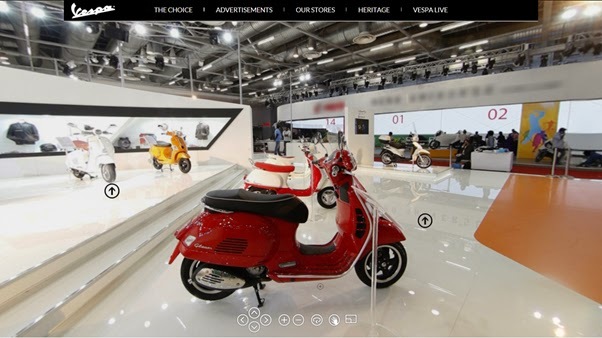 A 360 degree view of their Auto Expo stall in an amazing full-screen rich media format is available on the webpage. It is as close as one could possibly get to the real experience of getting to the see the stall up-close, sans the crowd. Engagement features include auto or click-to-rotate and zoom functionalities to view the finer details. The experience is clean, fluid, high quality and simply put, brilliant. Instagram pictures tagged with #piaggioposenwin from the on-ground activations are also available to view on the special section. What do you think of this execution?